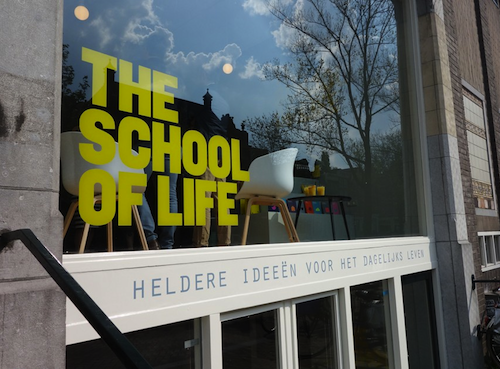 On Friday April 3rd I will give my very first course at The School of Life! The School of Life is devoted to developing emotional intelligence through the help of culture and is a place to step back and think intelligently about central emotional concerns. The course is called ‘What is success? (and does it makes you happy?)’. I will talk about the stories we tell ourselves about who we are and who we need to be to succeed in life, using examples from my work and personal life. It takes place in Amsterdam, on Good Friday April 3rd at 14.00hrs and will be in Dutch. Come for a good time and some fresh ideas!